The week's almost over, but a lot has happened in the news! NBA talks break down, a new Apple iPhone unveiled, and Amanda Knox returned to the states after spending four years in an Italian prison. After the NBA players union rejected a 50-50 revenue split to the players, the remainder of the preseason was lost and first two weeks of regular season are on the brink of cancellation. That is, if there is no labor agreement by next Monday. 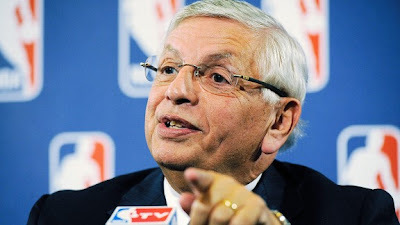 Commissioner David Stern and Deputy Commissioner Adam Silver said owners offered players the split of basketball-related income, below 57 percent that the players were guaranteed under the previous collective bargaining agreement. Sides are also divided on the salary cap structure. The union will continue to hold meetings with players and many players will have to decide if they want to explore playing overseas like Kobe Bryant or work in retail like Delonte West. Without a deal, the battle goes to federal court. Ouch! On Tuesday, Apple introduced iPhone 4S, the new smartphone that looks just like the iPhone 4, disappointing many avid customers. 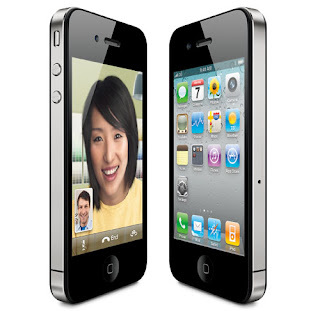 The phone is much faster with a dual-core A5 processor, 8 megapixel camera with sharper images, high definition video recording and Siri -- a built in, voice activated virtual assistant. Yeah, it's THAT much better and no doubt will be successful despite the same screen size and design. Looks like millions of iPhone fiends will have to wait for a little while until iPhone 5 comes...but Sprint and Verizon will surely carry the newer model! Amanda Knox was acquitted of murder charges Monday after spending four years in jail, and she maintained her innocence all the while. The 24-year-old returned home to Seattle Tuesday evening and told friends and supporters she was "overwhelmed" to return home during a live press conference. The Italian court threw out the murder conviction, upheld the guilty defamation charge and ordered her release. Knox cried and nearly passed out in the courtroom while the verdict was read. Knox and her ex-boyfriend Raffaele Sollecito were convicted in 2009 of killing her British roommate Meredith Kercher; she was serving 26 years, he was given a 25-year term. While prisoners cheered Knox's exit, Kercher's family jeered at the court's decision and prosecutors vow to appeal. A lawyer for the sole man convicted for Kercher's stabbing, Rudy Guede, said he would seek a retrial, according to the Belfast Telegraph.